Riley, Nichols & Munn is an independent wealth management firm in Rochester, NY. Riley, Nichols & Munn is an independent wealth management firm, established by a team of three seasoned financial professionals with over 70 years of combined financial services industry experience. Our independence allows us to offer our clients the best of both worlds: the one-on-one service of an investment boutique, backed by the power of a large, resource-rich global firm. 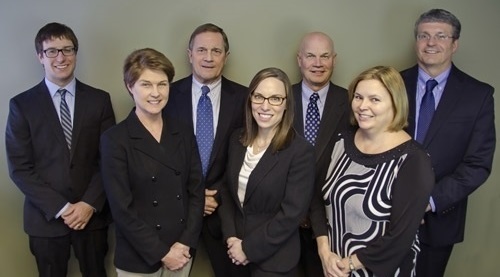 Our staff consists of experienced professionals who strive to serve as your “Personal CFO”. We believe in a client-first focus that allows us to work hand-in-hand, guiding you through all phases of your financial life. At Riley Nichols & Munn, we are dedicated to personalized client service, as well as investment counsel, objective asset management, and comprehensive financial planning. We are committed to helping our clients stay focused on where they want to go, providing sound advice on how to get there, and maintaining a disciplined approach to help them work towards their dreams and build an enduring legacy.